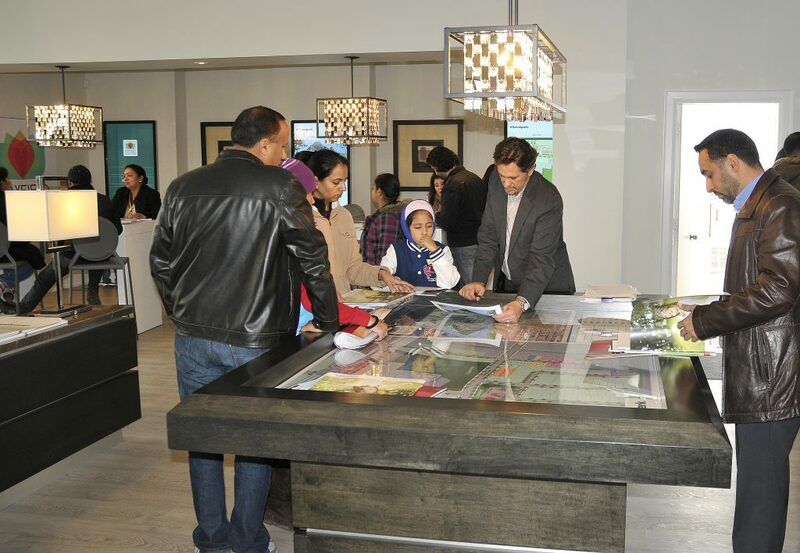 It was a big weekend for Mayfield Village in Brampton as crowds of eager buyers dropped by the sales centre for its preview opening event on Saturday, November 9th. Despite the cold weather, people lined up in front of the centre early in the a.m. to get a first peek at the lots and learn more about the development. After the doors opened, interested buyers could also purchase a home. 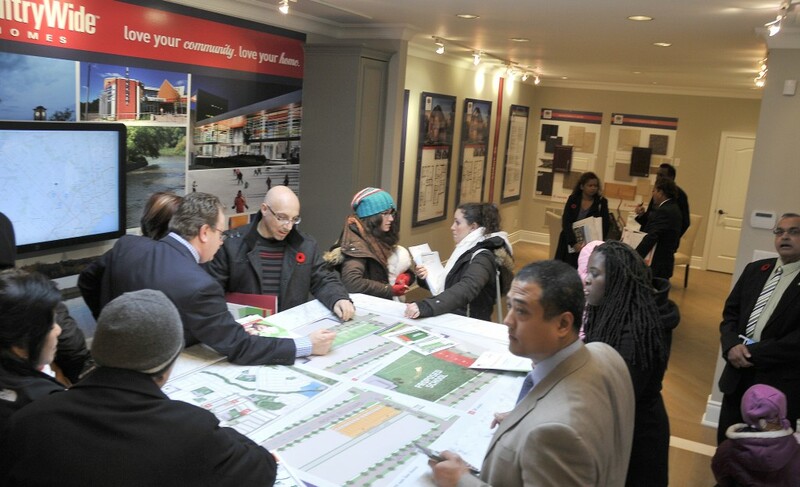 Home seekers were most impressed by Mayfield’s village-style layout. Thanks to the work of the project’s five well-known builders — Aspen Ridge Homes, Countrywide Homes, Greenpark Homes, Marycroft Homes and Regal Crest Homes — the enclave comes with a variety of housing styles, from classic towns to semi-detached homes and singles. 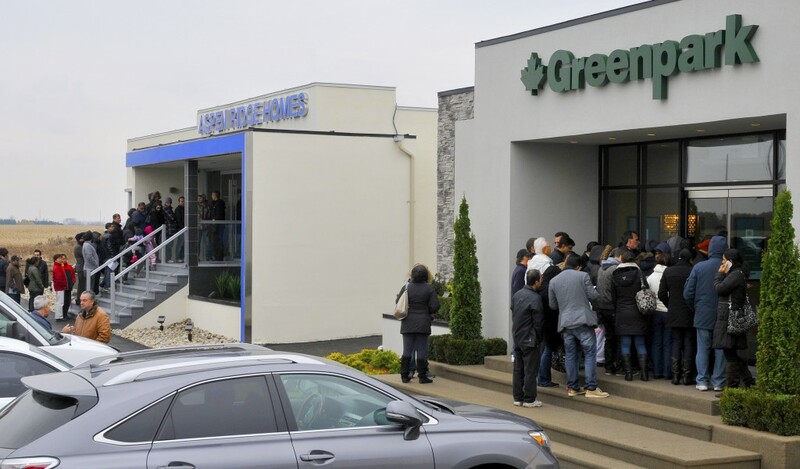 Before you visit the sales centre this weekend at Mayfield Road just East of Dixie Road, check out a few pics from last Saturday’s event below! There’s plenty more about the development to get excited about too. Mayfield will feature unique “live-work” units located on Inspire Boulevard so residents can open a business on ground level and live directly above it. It doesn’t get much more convenient than that. The project is also located in an amenity-rich neighbourhood with a variety of cafes, retail shops and reputable schools all within walking distance. Growing families will also appreciate the many parks and playgrounds in the area. Since convenience is key when purchasing a home, residents will be pleased to learn that Mayfield is situated on a main transit route. For more information register online here.